BBB - Backpack Berlin Baltimore. Research about the question of how women in today’s society deal with fashion after times of emancipation. I looked into how they use their ability to utilize certain fashion looks similar to wearing different masks. I undertook a detailed analysis of the relation between space and gender and compared two concepts: “Space Created by Clothing” and “Space Created by Concrete”. In the project, I applied this principals of fashion to architecture and secondly to the concept of the Downtown Athletic Club (NY), which is described by Rem Koolhaas in his book “Delirious New York“. 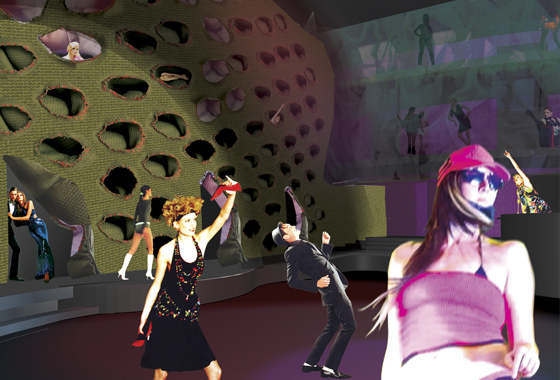 As a result I came up with a club for women, in Downtown, Stuttgart. 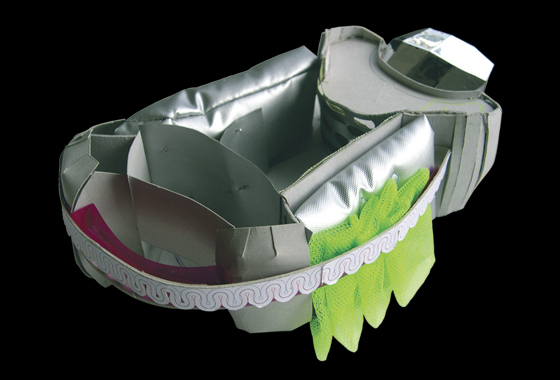 The appearance of masks in architecture and the way of organising space with it, was a key issue of my project.